Ernest Aliseda is a member of the Commercial Litigation Group in the Dykema’s McAllen, Texas office. Prior to joining Dykema, Mr. Aliseda served as General Counsel/Chief Legal Officer for the Loya Insurance Group companies for eight years, where he handled general legal matters and managed and oversaw diverse litigation throughout the country. 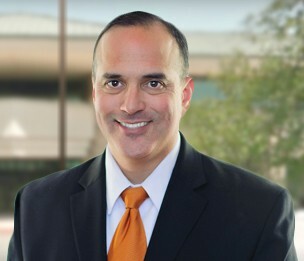 Along with his litigation management experience, he has successfully tried and litigated all types of commercial and civil matters, including breach of contract, business torts, construction defects, medical malpractice, personal injury, wrongful death, employment, international and property disputes. Mr. Aliseda is a former State District Judge for both the 398th and 139th State District Courts in Hidalgo County, a former Special Assistant United States Attorney, along with being a past President of the Hidalgo County Bar Association and former State Bar Director for District 12. Mr. Aliseda is currently a Governor appointed Regent to the University of Texas System Board of Regents and a State Bar of Texas President appointed member to the Board of the Texas Bar College. He is also a Lieutenant Colonel in the U.S. Army Reserves, where he serves as a Military Judge. "Budgeting for Alternative Fee Arrangements Under Complex Matters"